Answering Twitter Polls — How much can course setup change scoring averages? Asking questions using Twitter’s polls is a fun time to get people to think and talk about their opinions. Instead of only replying on the twitter threads, it’s easier to write here than be restricted by the 280 characters. These first three polls were all asking the question as to how much the course setup can change scoring – pin positions, the penalty of the rough and the speed of the greens. How much of a difference do hole locations make? Let's say that the PGA Tour puts all pins in the center of the green instead of super tucked like usual. How much do you think scores would drop per round? Pins in any high level event are incredibly tucked, which leads the question, how much of a difference does that make? Comically far back. And not the best picture. I should have shown all of the green so you can see how it’s even further back than what it looks like here. At Firestone last week, there were plenty of examples of players missing short sided, causing difficult up and downs. There were also plenty of times where they stuffed it (on? to? at?) a pin, where the ball ended up between the edge of the green and the hole. Anecdotal evidence is never an accepted way to prove questions involving numbers. 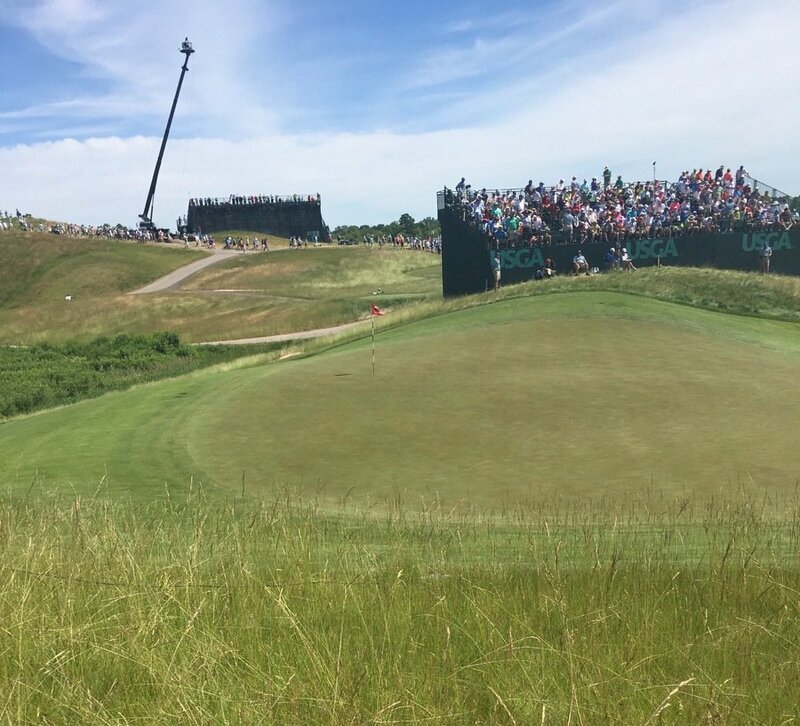 If someone could give me the ShotLink data, that I could match up with pin sheets, we could get a sense of scoring averages depending on how close to the edge of the green the pin is. Yet apparently to get the data, I’d need to submit this giant form with tons of information, including my address, and the “institution” I’m a part of. Unfortunately, golf writing is not part of a university. I voted for 2-3 strokes. Pin position makes a difference, there’s no denying that, but I can’t see too much other than a couple strokes a round.